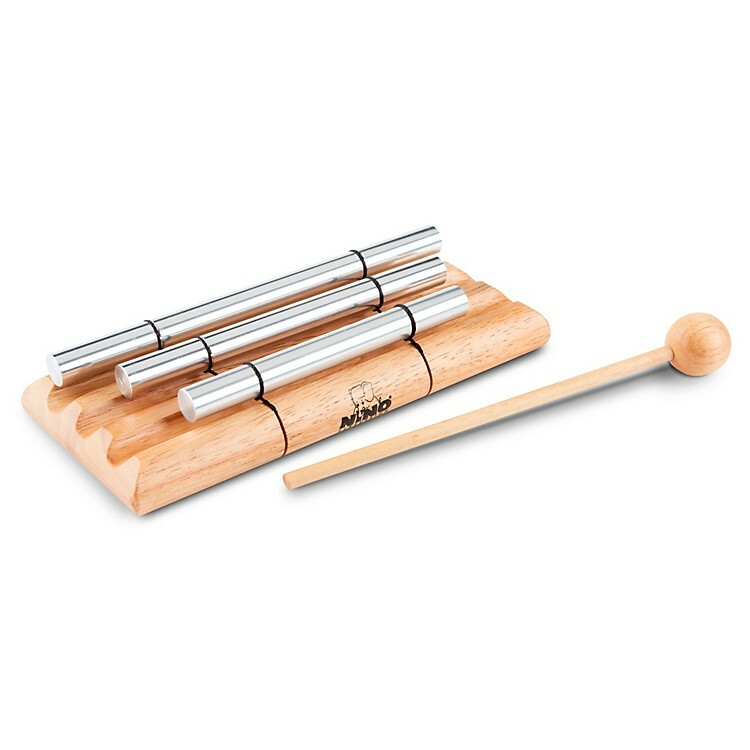 The Meinl NINO Series Energy Chimes are great for individual or classroom use. Featuring a cutting "ping" sound, the bars float to produce a long sustained tone. Pitches of the individual and 3 bar sets are A, E, and A. The 12 bar set is tuned to a G pentatonic scale with a lowered 7th. Mallet included. Available in small (NINO579S), medium (NINO579M), large (NINO579L), 3 bar set (NINO580), or 12 bar set (NINO600).